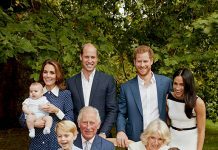 While Kate Middleton might appear composed at all times(except when Prince William gets caught dad dancing) the Royal admits she questions herself when it comes to motherhood. Overnight, the Duchess appeared at a charity event championing maternal mental health, where she told the audience she sometimes lacks confidence when it comes to parenting Prince George, 3, and Princess Charlotte, 1. 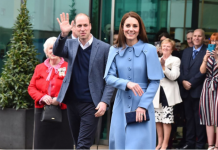 “There is no rule book, no right or wrong—you just have to make it up and do the very best you can to care for your family,” the Duchess said. “For many mothers, myself included, this can, at times lead to lack of confidence and feelings of ignorance. Middleton added that seeking help for mental health was no different from treating an everyday ailment. Middleton isn’t the only member of the Royal family to speak about the challenges of parenthood. 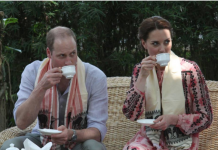 Last year, Prince William admitted he’d found becoming a dad “life-changing”.